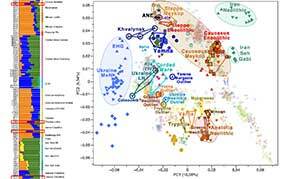 Pleistocene North African genomes link Near Eastern and sub-Saharan African human populations, by van de Loosdrecht et al. Science (2018). 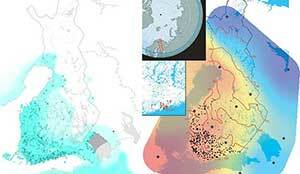 We analyzed the genetic affinities of the Taforalt individ-uals by performing principal component analysis (PCA) and model-based clustering of worldwide data (Fig. 2). When pro-jected onto the top PCs of African and West Eurasian popu-lations, the Taforalt individuals form a distinct cluster in an intermediate position between present-day North Africans (e.g., Amazighes (Berbers), Mozabite and Saharawi) and East Africans (e.g., Afar, Oromo and Somali) (Fig. 2A). 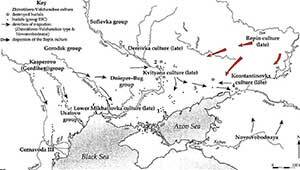 Consist-ently, we find that all males with sufficient nuclear DNA preservation carry Y haplogroup E1b1b1a1 (M-78; table S16). This haplogroup occurs most frequently in present-day North and East African populations (18). The closely related E1b1b1b (M-123) haplogroup has been reported for Epipaleolithic Natufians and Pre-Pottery Neolithic Levantines (“Levant_N”) (16). Unsupervised genetic clustering also suggests a connection of Taforalt to the Near East. The three major components that comprise the Taforalt genomes are maximized in early Holocene Levantines, East African hunter-gatherer Hadza from north-central Tanzania, and West Africans (K = 10; Fig. 2B). In contrast, present-day North Africans have smaller sub-Saharan African components with minimal Hadza-related contribution (Fig. 2B). 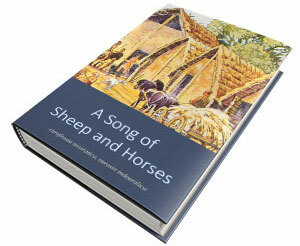 Taforalt harboring an ancestry that contains additional affinity with South, East and Central African outgroups. None of the present-day or ancient Holocene African groups serve as a good proxy for this unknown ancestry, because adding them as the third source is still insufficient to match the model to the Taforalt gene pool. 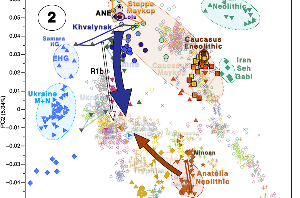 Mitochondrial consensus sequences of the Taforalt indi-viduals belong to the U6a (n = 6) and M1b (n = 1) haplogroups (15), which are mostly confined to present-day populations in North and East Africa (7). U6 and M1 have been proposed as markers for autochthonous Maghreb ancestry, which might have been originally introduced into this region by a back-to-Africa migration from West Asia (6, 7). The occurrence of both haplogroups in the Taforalt individuals proves their pre-Holocene presence in the Maghreb. 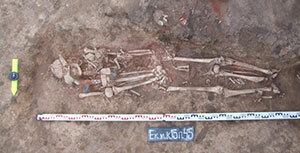 (…) the diversification of haplogroup U6a and M1 found for Taforalt is dated to ~24,000 yBP (fig. S23), which is close in time to the earliest known appearance of the Iberomaurusian in Northwest Africa (25,845-25,270 cal. yBP at Tamar Hat (26)). A summary of the genetic profile of the Taforalt individuals. (A) The top two PCs calculated from present-day African, Near Eastern and South European individuals from 72 populations. 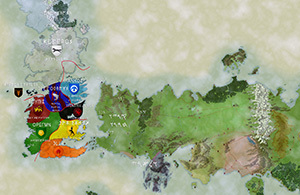 The Taforalt individuals are projected thereon (red-colored circles). 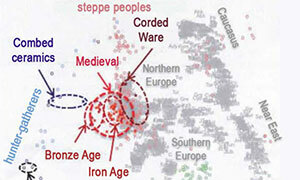 Selected present-day populations are marked by colored symbols. Labels for other populations (marked by small grey circles) are provided in fig. S8. (B) ADMIXTURE results of chosen African and Middle Eastern populations (K = 10). 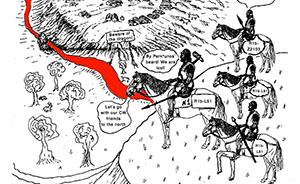 Ancient individuals are labeled in red color. Major ancestry components in Taforalt are maximized in early Holocene Levantines (green), West Africans (purple) and East African Hadza (brown). The ancestry component prevalent in pre-Neolithic Europeans (beige) is absent in Taforalt. The relationships of the Iberomaurusian culture with the preceding MSA, including the local backed bladelet technologies in Northeast Africa, and the Epigravettian in southern Europe have been questioned (13). 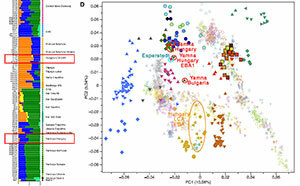 The genetic profile of Taforalt suggests substantial Natufian-related and sub-Saharan African-related ancestries (63.5% and 36.5%, respec-tively), but not additional ancestry from Epigravettian or other Upper Paleolithic European populations. Therefore, we provide genomic evidence for a Late Pleistocene connection between North Africa and the Near East, predating the Neolithic transition by at least four millennia, while rejecting a potential Epigravettian gene flow from southern Europe into northern Africa within the resolution of our data. It seems that the Taforalt gene pool (ca. 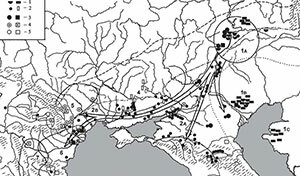 13000-12000 BC) cannot be explained by a connection with Upper Palaeolithic Europeans, but a more archaic admixture, so the authors cannot prove a migration through the Strait of Gibraltar or Sicily. That there is no contact before ca. 12000 BC through the Strait of Gibraltar; therefore the Sicilian route I support for the migration of R1b-V88 lineages is still the most likely one. 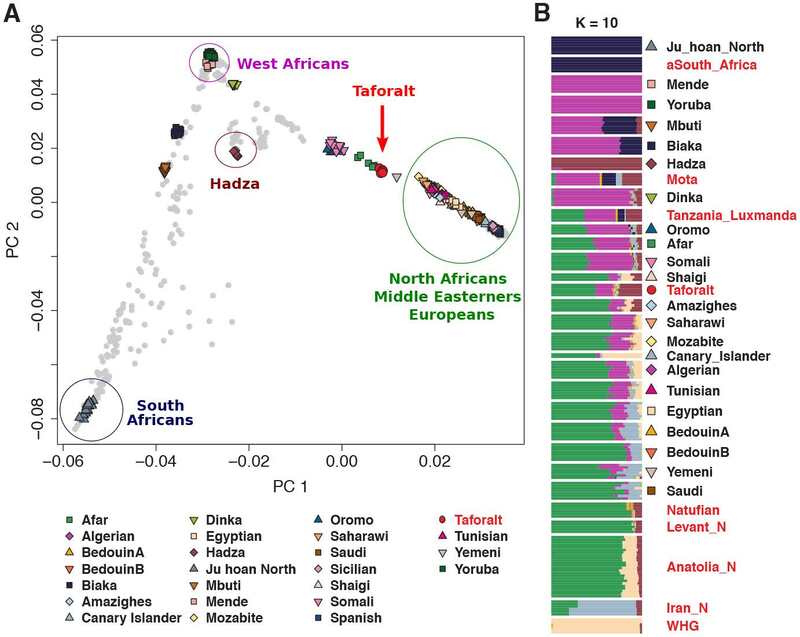 That the North African connection with Natufians is quite old – for which we already had modern Y-DNA investigation – , and therefore unlikely to be related to the Afroasiatic expansion.